There’s still time to submit programming to the 2016 Philo Festival of Media Arts! Call for entries ends Thursday, June 30 at 11:59pm. Overall Excellence Categories include Public, Education, Government & combined PEG Access! Overall Excellence in Public Access – Awarded to an organization that operates only the Public Access channel(s) and resources. Programming examples might include shows created by access staff, community producers, organizations, and individuals who have editorial control over the content of their programs. Centers who also manage educational or governmental access channels and facilities must enter the P.E.G. category. The entry must consist of excerpts from 7-10 different programs (excerpts could include: programs, public meetings, bulletin boards, PSAs, promos, programs designed specifically for web viewing, etc. Entry should be no longer than 10 minutes. Overall Excellence in Educational Access – Awarded to an organization that operates only the Educational Access channel(s) and resources. Programming examples might include shows created by the staff, faculty, and students of an educational institution or educational access center. Centers who also manage public or governmental access channels and facilities must enter the P.E.G. category. The entry must consist of excerpts from 7-10 different programs (excerpts could include: programs, public meetings, bulletin boards, PSAs, promos, programs designed specifically for web viewing, etc. Entry should be no longer than 10 minutes. Overall Excellence in Governmental Access – Awarded to an organization that operates only the Governmental Access channel(s) and resources. Programming examples might include shows created by government employs or staff of the government access organization. Centers who also manage public or educational access channels and facilities must enter the P.E.G. category. The entry must consist of excerpts from 7-10 different programs (excerpts could include: programs, public meetings, bulletin boards, PSAs, promos, programs designed specifically for web viewing, etc. Entry should be no longer than 10 minutes. Overall Excellence in Combined P. E. G. Access – Awarded to an organization that is responsible for any combination of Public, Educational, and Governmental access channels and resources (PE/PG/EG/PEG). The entry should include programming examples from all the channel types managed by this organization. The entry must consist of excerpts from 7-10 different programs (excerpts could include: programs, public meetings, bulletin boards, PSAs, promos, programs designed specifically for web viewing, etc. Entry should be no longer than 10 minutes. 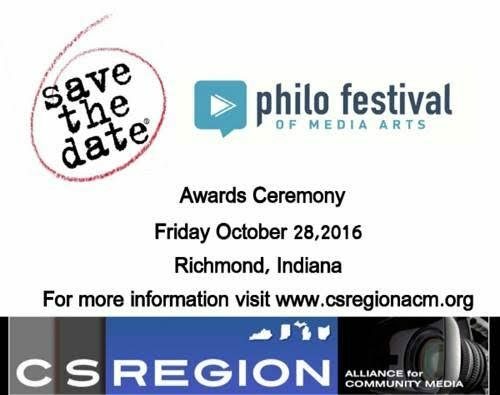 Judges needed: sign up to judge a category or two or three for the 2015 Philo Festival of Media Arts. Visit csregionacm.org for more information! 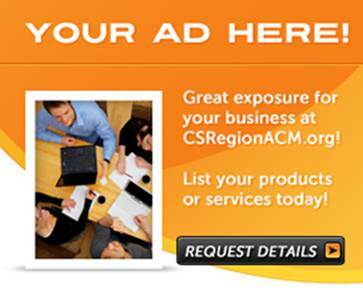 The Central States ACM appreciates support from our community.